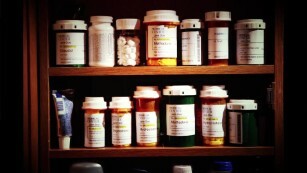 Doctors must lead the way to end prescription drug abuse epidemic. Veteran doctors don’t need a blood test to tell when someone is on the verge of a drug overdose. They can even narrow down the culprit by observation alone. Dilated pupils mean cocaine, amphetamines, maybe LSD. Constricted pupils mean an opiate. Additionally, an opiate abuser is characteristically “nodding out” and often scratching their itchy skin. While their face is becoming pale and clammy, their fingernails and lips are starting to turn blue or even a sickly purplish-black. When the choking noises — or the deep snore gurgling sounds, known as the death rattle — begins, it’s time to act — and fast. That is a pretty clear sign the opiates have just turned off the person’s drive to breathe and they are in the throes of an overdose. It is an awful sight, and yet someone in this country dies like this every 19 minutes. There is no other medication routinely used for a nonfatal condition that kills patients so frequently. 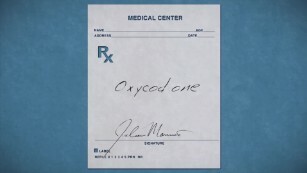 The majority of those deaths result from prescription opioid medications, such as hydrocodone, OxyContin and Percocet. It is so common that specialists even have a profile for the most typical victim: non-Hispanic Caucasian male, mid 30s. Initial diagnosis: back pain due to trauma, surgery or degenerative arthritis. And, most remarkably, average time from first prescription to time of overdose death: just 31 months. This is a public health epidemic and one that is uniquely American. No other country in the world has the perverse amount of consumption as we do in the United States. And nowhere do we pay the price as dearly as with prescription opioid medications. As of 2011, 75% of the world’s opioid prescription drugs are prescribed and swallowed up in a country that makes up less than 5% of the world’s population, leading to the most common cause of unintentional death in America today — drug overdoses. It is a horrifying and shameful statistic. And, having traveled all over the world covering natural disaster, wars and famine, I am fully confident we Americans don’t have 75% of the world’s pain. There is plenty of blame to go around. Drugs are cheaper than a multidisciplinary approach to treating pain, and cost savings are what insurance companies like to hear. For decades, certain pharmaceutical companies misled the FDA about the risks of opioid dependence in an effort to sell more of the drugs, and three top executives from Purdue Pharma even pleaded guilty to those criminal charges. Our federal government has created nearly insurmountable hurdles to studying other therapies such as medicinal marijuana, which has for years been used safely and effectively in other countries for chronic neuropathic pain, one of the most difficult types to treat. If you’re addicted to prescription drugs, help is available. You can call the Substance Abuse Mental Health Services Administration 24/7 hotline at 1-800-662-HELP(4357) or visit their website. Most of the blame, however, belongs on the shoulders of the American doctors themselves. I am a practicing neurosurgeon, and this is not an easy thing to acknowledge. The fact is, we have accepted the tall tales and Pollyannaish promises of what these medications could do for too long. As a community, we weren’t skeptical enough. We didn’t ask enough questions. We accepted flimsy scientific data as gospel and preached it to our patients in a chamber that echoed loudly for decades. It was a particular American doctor who, in many ways, started all of this. If you want to identify a specific moment this opioid epidemic sprouted wings, many would point to a paper written 30 years ago this month. Based on a study of just 38 patients in 1986, Dr. Russell Portenoy challenged the conventional wisdom. Up until that time, opioids had been reserved for cancer patients and palliative care and only for short durations because of the concern about addiction. Dr. Portenoy, armed with his small study, believed prescription opioids could safely be used in all patients with chronic pain for years on end. He maintained that the drugs were easy to quit and that overdoses hardly ever occurred. 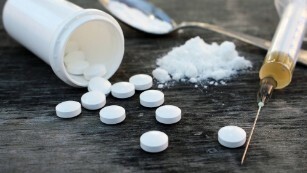 Along with several others, Portenoy cited a single-paragraph letter to the editor from the New England Journal of Medicine stating that less than 1% of opioid users would become physically dependent or addicted. As it turns out, almost none of this was true. When we reached recently retired Dr. Hershel Jick, author of the oft-quoted “1% letter,” he was quick to point out that his statistic was misrepresented. It was intended to represent only patients prescribed opioids in the hospital who were carefully monitored. He told us he never anticipated the remarkable impact a one-paragraph letter would have in the decades to follow. Even Portenoy, once mockingly referred to as the King of Pain, appears to have recanted and apologized for his part in walking the American people into an abyss of addiction. There is no question that many people suffer unimaginable chronic pain, and we don’t want to solve the epidemic by impeding their ability to obtain pain relief. But the truth is, they deserve medications better suited for the job. They deserve medications that uncouple powerful analgesia from terrible addictive potential. They deserve medications that don’t cause hyperalgesia, a syndrome of increased pain necessitating escalating doses of opioids. Most of all, they deserve to have doctors who rely on scientific evidence that is solid, not fanciful. We have a long way to go. Instead of safer pain therapeutics, patients are now being offered expensive new medications that only treat the consequences of the opioid epidemic. With 259 million opioid prescriptions being written yearly, it turns out side effects — such as constipation — are a big enough business to warrant its own Super Bowl commercial. There are other grim signs. We now know that heroin has made a resurgence and 80% of new heroin users start off using pain pills, which contain the same type of base ingredients. Most disturbing, however, is a recent study showingthat 91% of people who survived an overdose were still able to get another opioid prescription, typically from the same prescribing doctor. Not only are we failing to learn and make progress, it seems we are turning a blind eye to the tragedies unfolding right in front of us. As policymakers begin to catch on, rules and regulations will start to change. As part of a discussion I moderated with President Obama last month, we learned the Centers for Disease Control and Prevention is now recommending against doctors prescribing opioids for most chronic pain situations. When a prescription is written, it should be for the lowest effective dose and the shortest amount of time: usually just a few days. Pills will also come with safeguards to make them difficult to abuse and discourage “doctor-shopping,” as well as a strong warnings about addiction — something we doctors should have been diligent about all along. But most simply, we as doctors need to engage our patients and discuss treatment with them, whether its short term opioids or alternatives like physical and occupational therapy. We need to help set realistic expectations for our patients: Living entirely pain free is not always possible. As doctors, we need to have follow-up conversations with our patients to see how treatment is going. If we better understand our patients, we can provide better treatment and help develop pain strategies that are effective and safe. It is not too late. In order for this American-made epidemic to finally end, however, it is the American doctors who must lead the way. Previous Previous post: Woman set on fire and killed for rejecting marriage proposal in Pakistan. Next Next post: At least 18 albinos have been killed in Malawi Since 2014 due to superstition.